Now, I’ll be the first to admit that the Foveon sensor has its advantages, but I’m not sure the fact that your sensor has three layers means you get to triple the number of megapixels the camera “has.” I guess it technically does have all those pixels, but the output image will still be around 15 megapixels. Kind of a conundrum. In any case, 15 is enough, and you’re guaranteed some serious image quality with that layered sensor. What else has this thing got for us? Well, for such a long press release, there really isn’t a lot of information. 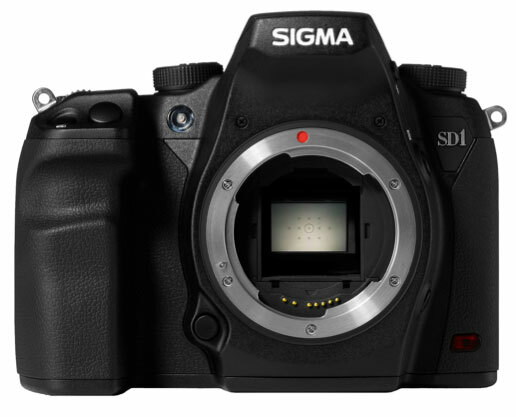 It’s got a magnesium, weather-sealed body, 11 autofocus points, and it saves to CF type I cards. A 3″ LCD at 480×320 rounds out the package (I’m guessing they mean 460,000 dots, not pixels). Not a bad camera by any stretch of the imagination, though they seem to be leaning very heavily on that sensor. A high-res LCD and large ISO range are really requisite these days for a camera to be competitive, from the sub-$1000 level to around $3000, at which point specialization kind of takes over. Since we don’t have a price or release date yet, it’s hard to judge where this thing lands. We’ll keep you posted, though.